JP Electric and Son, Inc. has been serving Rindge, New Hampshire and Eastern New England region with over 13 years of experience with the goal to provide superior, quality electrical services to the commercial, industrial and residential communities. We offer generic electrical services! We work with our clients in Rindge, New Hampshire to design cost effective solutions and schedules to meet their needs. We are committed to the highest level of service and integrity and offer an unconditional satisfaction guarantee. Our ability to provide quality service is second to none. Its our pledge & goal to meet the needs & expectations of our clients. 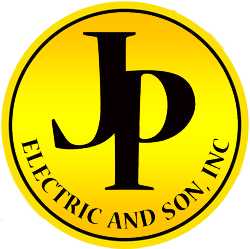 JP Electric and Son, Inc. believes that a quality job begins with quality people, so we employ only highly trained full-time tradesmen. Our entire team strives to provide the highest quality work along with professional, reliable services. We take pride in making customers exceptionally pleased on each and every job. We recognize the importance of proper planning and staging on projects. This saves you money, produces a better end product and makes for a smooth running job site. We work directly with you to plan the job from the start. We are always thinking ahead. Our professional estimating, project managing, and production experience is your guarantee that the project is completed on time, with uncompromising quality. service at the most competitive rates in the industry! We are sure to have solutions for any of your electrical needs! Call us today or use our convenient Request Form to discuss your needs. #1 CHOICE FOR EMERGENCY RESPONSE!